Ethics statement: Within this article, there are affiliate links. If you buy something after clicking the link, we will receive a small commission. To know more about our ethics, you can visit our full disclosure page. Thank you! Before you do anything else, grab two CR2 lithium batteries and insert them into the battery compartment on the side of the camera. 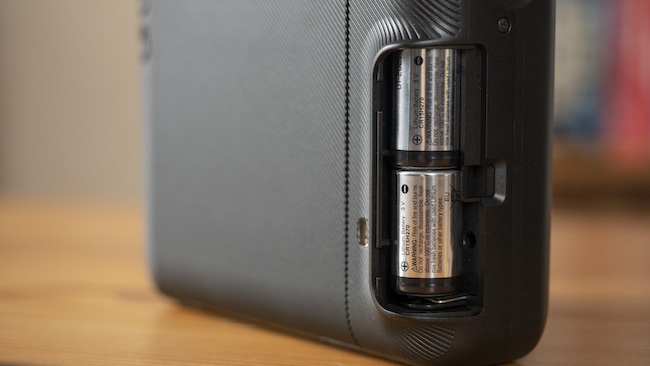 I would recommend using the two Panasonic batteries that come bundled with the camera but any CR2 batteries will do as long as they’re fully charged and of the same brand. Note that if you use batteries of two different brands or half-charged batteries, the camera may not work as it should. Next you’ll want to insert a pack of film into the back of the camera. 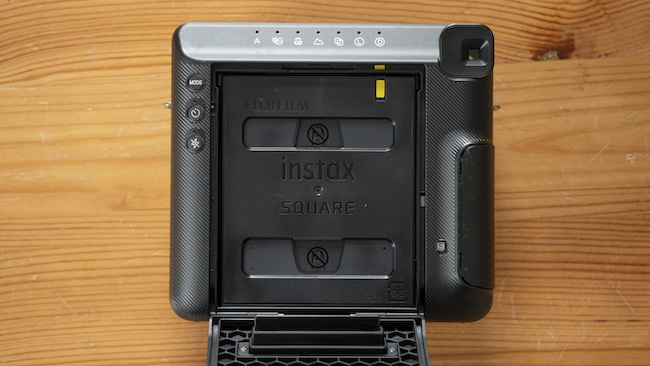 Before you open the film pack, make sure that it is in fact the Instax Square type, not Mini or Wide. At the time of writing, the film pack features a young couple on the front so keep an eye out for that! When opening the film pack, make sure to hold it by the edges at all times and avoid touching or pressing down on the areas that feature a finger with a line through it, as doing so could damage the film. Open the film door of the camera via the tab on the rear and gently place the film inside, aligning the yellow markers. 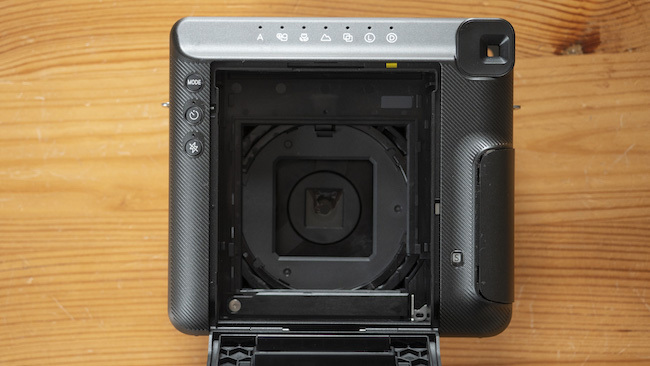 Once in place, you can safely close the film door and turn the camera on via the switch on top. Once you’ve inserted a pack of film, it is important that you do not open the film door again until you’ve used up all your shots. (The only exception of course is if the film is jammed for some reason.) If you do accidentally open the door, every subsequent shot you take will turn out completely white due to overexposure. 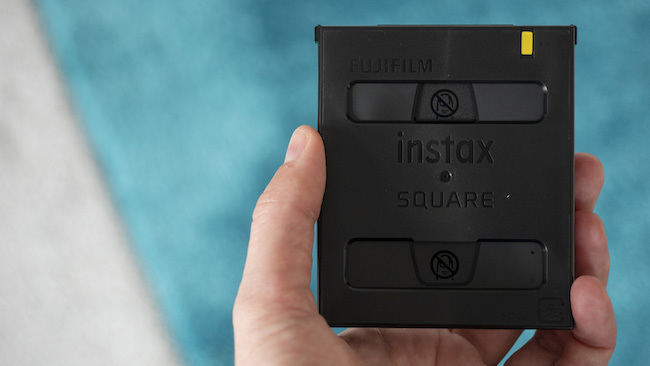 All Instax film comes with a protective black slide that must be ejected before you can start taking photos. 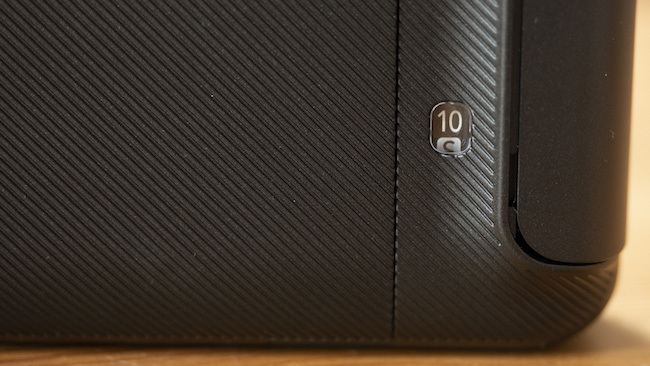 To do this, simply press the shutter button on the front once and the slide will eject from the slot on top. You’ll also notice that the shot counter on the rear will rotate to the number 10, meaning that you have ten shots left in the pack. After you’ve used up all your shots, simply open the film door, remove the empty cartridge and start the process all over again. 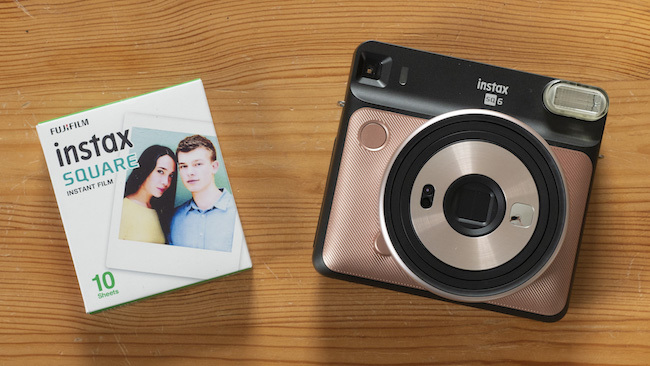 And that’s it – you’re now ready to start taking pictures with the Instax SQ6! 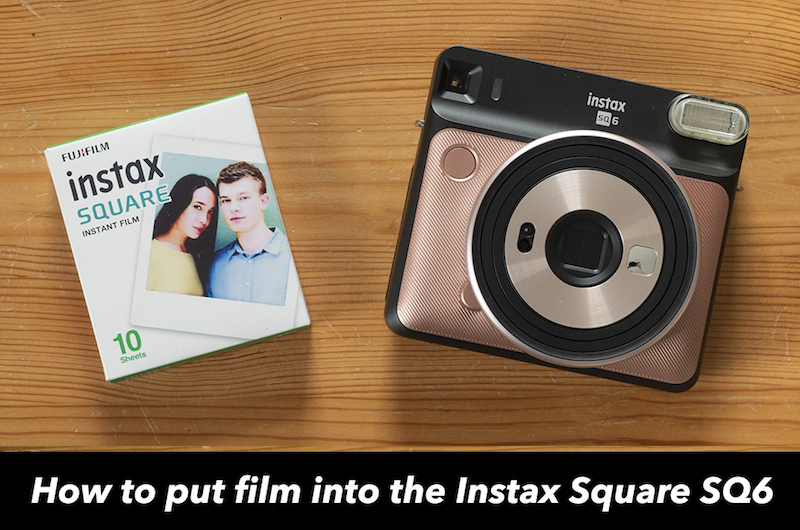 Check out my full review of the Instax Square SQ6 here! Run out of Fujifilm Instax film? Stock up at B&H Photo! 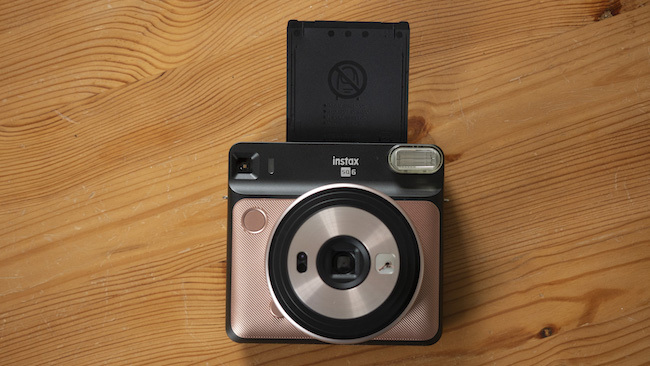 Previous Post: « Say hello to the “beautifully square” Fujifilm Instax SQUARE SQ6!